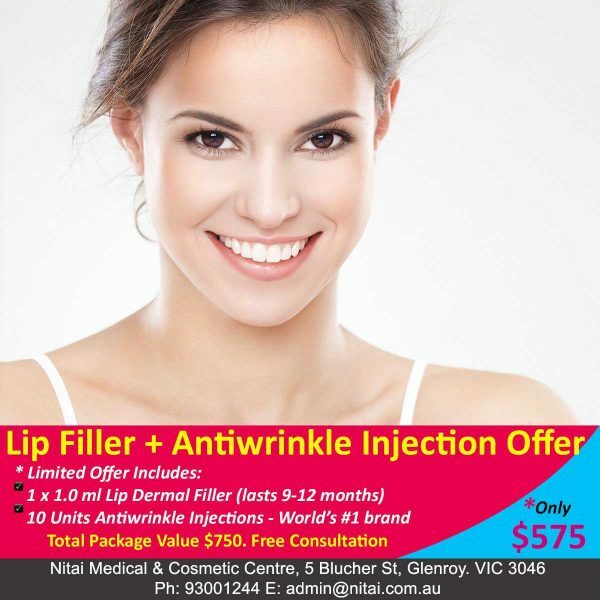 Receive 1ml Lip dermal Filler and 10 units of Antiwrinkle Injections for only $575. The package normally costs $750. The treatment is by an experienced doctor. 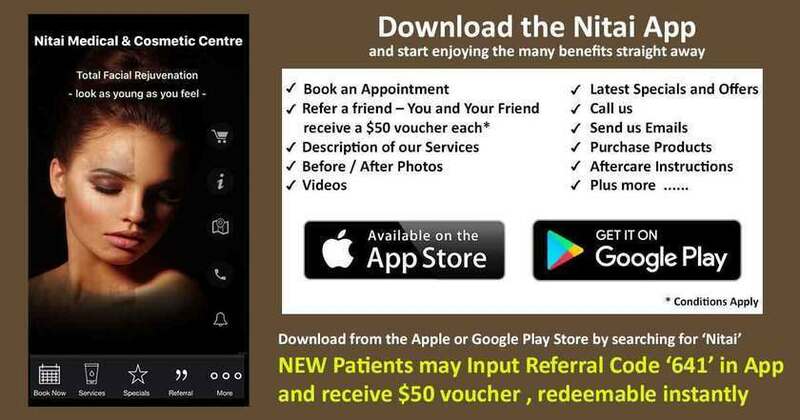 Our doctor will focus on getting a natural looking outcome. In the lips area, emphasis is placed on natural looking volume and shaping, appropriate for one’s age. 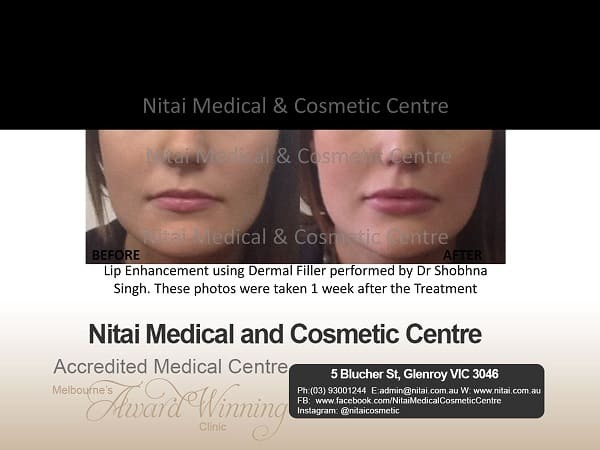 Our lip fillers last 9-12 months – we refuse to use the cheaper grade products that last only 3 to 6 months. 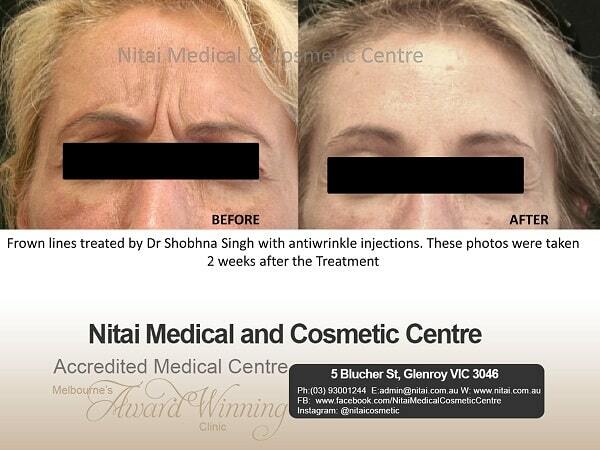 The Antiwrinkle treatment is designed to treat dynamic wrinkles in a an area of choice. 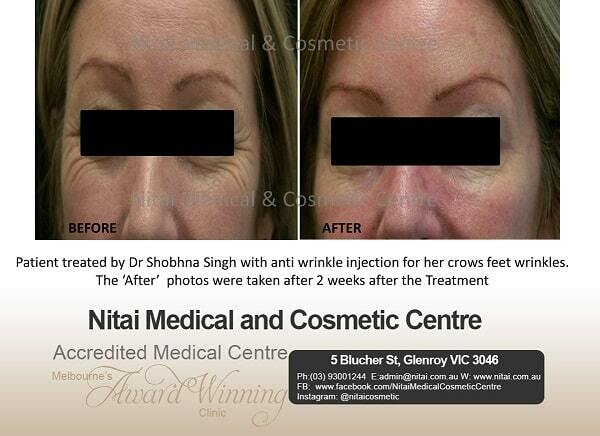 The package includes a total of 10 units of antiwrinkle injections. Additional units can be purchased at $13.50 per unit. A consultation is required prior to treatment to confirm its suitability for the patient. We offer a free consultation as well as a free followup review review 2 weeks post treatment. 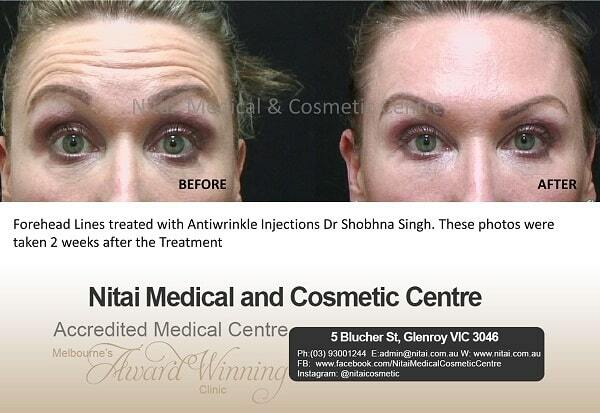 As mentioned, we focus heavily on achieving natural looking outcomes. Some images are included below as a guide to what is achieveable. The actual amount of lip filler and antiwrinkle injections will depend on the severity of the issue. 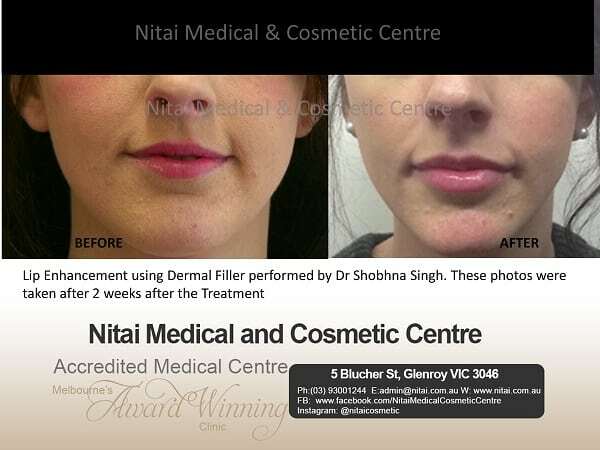 Dr. Shobhna is passionate about helping you meet your Medical, Skin Health and Beauty goals. Dr. Singh is a Monash University Graduate in Bachelor of Medicine and Bachelor of Surgery (MBBS). She is a registered General Practitioner through the RACGP. 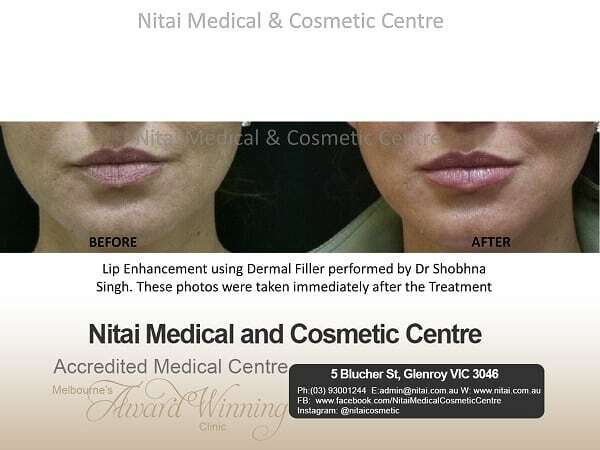 Since 2007, she has been focussing on areas of cosmetic and skin treatments. Besides her medical registration, Dr. Singh has completed 4 separate Diplomas – Skin Cancer Medicine & Surgery, Dermatology, Aesthetic Medicine, and Diploma of The Royal Australian and New Zealand College of Obstetricians and Gynaecologists (DRACOG).